The fascia in our young bodies is highly elastic, which decreases naturally as we age. Observing children on the playground, we marvel at the resiliency of their young bodies. Some launch themselves high in the air, at the upper-most elevation of a swing. Others lose their footing on the round-about spinning a little too fast. In both occasions their young bodies hit the ground REALLY hard. Besides the initial shock and their subsequent tears, observe what they do. They tremble and shake. For those who own a dog, notice what they do then moment after they awaken from their curled sleep position. First, they stretch. Then they gyrate and shake their bodies as if they just finished a bath. The nervous systems of both the children and the dog triggered the shaking mechanism for the purpose of resetting the body. What they are specifically resetting is their fascia. Dogs performing their characteristic wiggle is also an attempt to reset compressive physical forces. In this case, they remained in a twisted position for many hours to retain their body heat during the night. 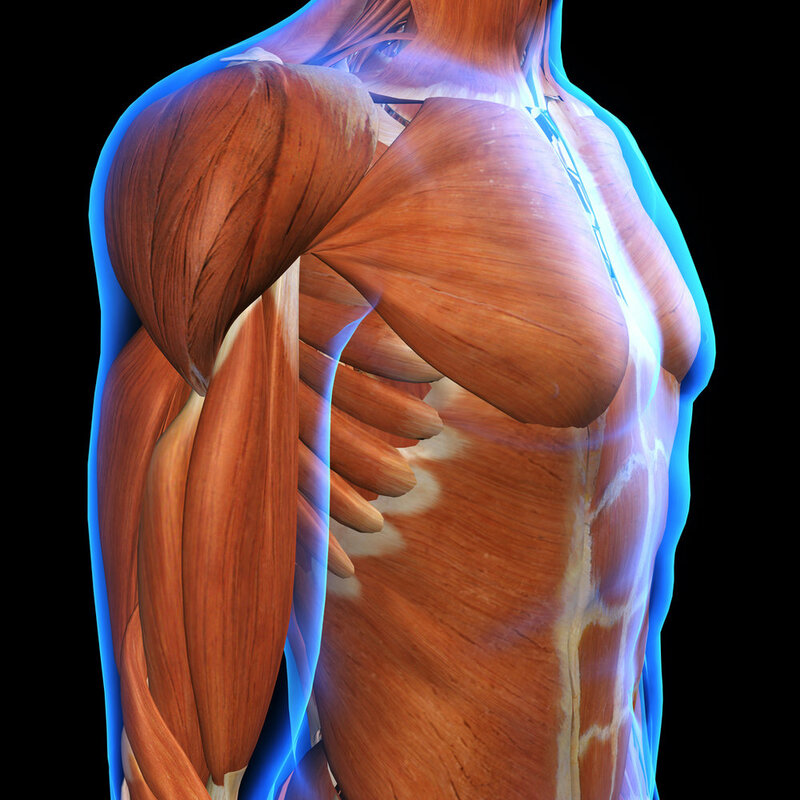 Our fascia covers our muscles and interweaves itself throughout our entire body all the way down to the cellular level. Fascia is the most abundant protein we have. It not only covers our muscles, but it interweaves itself throughout our entire body all the way down to the cellular level. Healthy and vital fascia possesses a dynamic elastic quality that gives us the ability to twist, bend and re-coil. It demonstrates exceptional strength, while remaining freely movable and elastic. Without fascia, or lungs would be two deflated balloons, and our livers would resemble a plastic bag filled with jelly. Youth, and the ever-present desire to hold onto it, depends more on maintaining the elastic principle of the body’s collagen than just keeping up skin moisturization. In truth, youth is elasticity. Elasticity spans the gamut, from supple skin that recoils when pinched, all the way to pliable muscles and ligaments which allow the body to better bend without breaking. At the cellular level, fascia intimately supports and cradles each and every one of your cells. Poor health and inadequate nutrition tightens fascia. This not only creates the rigid body characterized by older people walking tight and slow, it also manifests as constricted tissue pressing hard against the cell walls. Body-wide, this increased pressure against the walls of cells act as a continual signal that something is terribly wrong. Picture how tight people get right before they are hit by another car, in an accident they see coming. That is exactly what it feels like to cells when our bodies are tightened due to stress, poor posture, and inadequate nutrition. Unfortunately, the older we get, the less our body makes. Providing your body with this essential protein is like delivering the best possible materials to the handy-man contractor you have employed to fix and keep up your house after it has fallen into disrepair. As you revitalize this summer, consider taking collagen as part of your supplementation regimen. See the collagen supplements below that we have to offer at our store. Happy Summer and Keep Healthy!